Spice is a circuit simulator that you should have in your toolbox. While a simulator can’t tell you everything, it will often give you valuable insight into the way your circuit behaves, before you’ve even built it. In the first installment of this three-part series, I looked at LTSpice and did a quick video walkthrough of a DC circuit. In the second, I examined two other parts of Spice: parameter sweeps and AC circuits. In this final installment, I want to talk a bit more about real-world component performance and also look at modeling transformers. Last time we looked at a low pass filter, but it wasn’t practical because the components were too perfect. Only in simulation do voltage sources and wires have zero resistance. There was no load resistance either, which is unlikely. Even an oscilloscope probe will load the circuit a little. The resulting AC analysis showed a nice filter response that was flat to about 1 kHz and then started roll off as the frequency increased. Suppose the source had an 8 ohm series resistor. 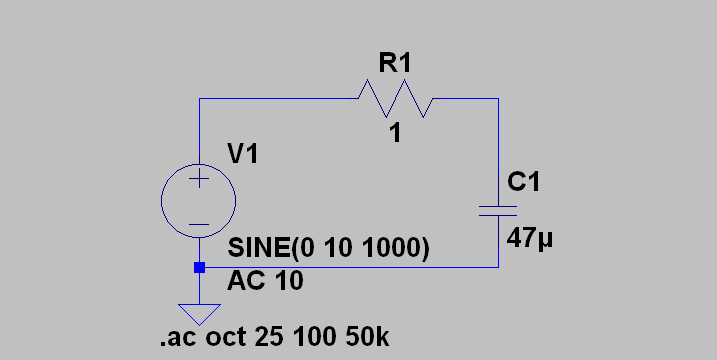 How does that change the circuit response? There’s just something about the idea of robots turning into everyday objects that fascinates us all. It seems Japan outdoes the world in that category, and the J-Deite project is no exception. J-Deite Quarter is the first transforming robot to come from the collaborative project between [Kenji Ishida] of Brave Robotics, [Watur Yoshizaki] of Asratec Corp., and Tomy Co. Ltd. If Brave Robotics sounds familiar, that’s because this isn’t the first transforming robot [Kenji Ishida] has produced, nor the first featured on Hackaday. The J-Deite Quarter weighs 77lbs (35kg) and can run for an hour on a single battery charge. It’s joints are powered by Futaba servos. It is controlled by the proprietary V-SIDO OS designed by [Watur Yoshizaki]. As a robot, it stands at 4.25 feet (1.3m). It walks at a rather slow speed of 0.6mph (1km/hr). It has several points of articulation; it can bend its arms and flex its fingers. In less than 30 seconds, the robot transforms into an equally long two-seat sports car with a maximum speed of just over 6mph (10km/hr). Overall, the J-Deite Quarter is no speed demon, but it is noteworthy for being functional in both forms. The web site has a cute backstory featuring a green meteorite that allows the “real” J-Deiter to communicate with the developers trying to create a robot in its image. Along with the video, it resembles a marketing ploy for a toy, which could explain Tomy’s involvement. After all, Tomy, along with Hasbro, developed the original Transformers toy line. Unfortunately, the J-Deiter Quarter is just a prototype, with no plans for mass production at this time. Instead, the project’s focus is on making a bigger and better J-Deiter. There are plans for a J-Deiter Half (8-foot-tall) to be developed by 2016, with the final goal of creating a 16-foot-tall transforming robot by 2020. Enjoy the video that shows what J-Deite Quarter is capable of (with added sound effects, of course) after the break. Now, if you’ll excuse me, I have a sudden hankering to watch some Transformers and Voltron cartoons. [Tez_Gelmir] built an awesome portable workbench. Not satisfied with just mundane designs, he patterned his box after Soundwave from the classic Transformers: Generation 1 series. This portable bench keeps his tools organized and ready to roll out. [Tez] has all the basic tool groups covered – screwdrivers small and large, pliers, crimpers, soldering iron, fume extractor, vice, and wire spool. He’s also got room for parts boxes to hold his components. The basic box is built from a single sheet of 7mm plywood. The front work area is a smaller piece of 12mm plywood. Working with 7mm plywood did prove to be a challenge – [Tez] had to use some very small screws for his hinges. The basic box construction was easy though – [Tez] used a pneumatic nailer and PVA (wood) glue. [Tez] used a number of 3D printed parts in his design. He kept the Transformer theme going with a Decepticon logo built into his screwdriver holder. The fume extractor and lamp were also especially clever – [Tez] mounted them to drawer sliders, so they are there when he needs them, and out of the way when he doesn’t. [Tez] spent quite a bit of time setting up his power system, and it shows. The inside of the box is framed with four power points. The main cord has its own “mouse door”, and everything tucks neatly away when not in use. The Soundwave paint job is what sets this box apart – [Tez] spent quite a bit of time getting everything just right. It looks like Ravage is ready to spring out at any moment. We really love this setup – Our only suggestion would be to add some sheet metal to protect the corners of the box while in transit.